Are you looking to for a great price on a used Audi engine from a trustworthy and friendly source? Welcome to AUTOPARTMAX.com, where our family-owned business has been selling discounted quality used Audi engines for decades. When you buy any one of our used auto engines or even when buying a rebuilt Audi engine our 100% money-back guarantee rides with it.We excel at helping Audi drivers, like you, get back into the seat with as little cash as possible. We sell and ship all major automotive components for FREE, not just engines. We hold sixteen-thousand units in our warehouses to cover extensive demands for replacement auto engines of any make and model. For years we've been treating reliable sources in the industry like gold. Many of them now hold inventory for our clients. Therefore, it's extremely important you call and check availability with us. There's no obligation. Even if you're not ready to make a purchase. If your performance specifications requires a remanufactured Audi engine, our massive inventory includes one that's right for your Audi. 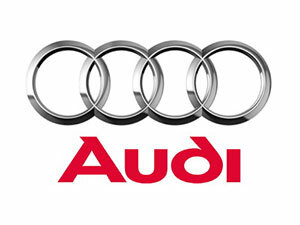 • Provide us with your Audi vehicle identification number. • Let us know the shop address or ship-to address. First, we source and pinpoint. We'll check availability and prices on any auto engine including used, rebuilt engines or remanufactured Audi engines with superior performance. This takes only a few seconds. We identify which model you're driving through its VIN. We determine its exact date and location of manufacture. In this way, the replacement Audi engine you buy will be exact and any additional components will fit right in. We maintain serious technology for our automotive catalog that provides transparency and order. Next, you'll speak to one of our own. They'll be thoughtful and carefully understanding. We have no high priced sales, pushy associates or flashy websites. These are expensive and only drive up the cost of your auto engine. Most businesses within the industry stop caring about the customer as soon as the auto engine is shipped out. We recognize success only happens when you get your Audi running again. Not every automotive repair or upgrade is equal. Not every certified automotive technician working on your Audi is alike. Nothing replaces a qualified automotive technician, but even the best automotive technician needs great automotive components to get the job done. We help ensure that happens. Get new revelations about your specific Audi model. We find your goals. After all, it's not about the repairs, the auto mechanic or even your Audi. It's about you. Finally, you'll receive FREE fast shipping. In most cases, the engine arrives in only a few days. It really is that easy! Anyone can do it. And with our great rates, you'll be bragging how much you saved on repairs. You won't have to worry about the quality of the engine or its cost. You have enough to handle with your Audi in the shop. You don't need to be worrying about locating a quality used, rebuilt or remanufactured engine in the midst of your struggles. Let us find it for you. Call securely for FREE quotes and safe ordering, because you can only afford to buy from people who genuinely care.